A teleport NPC that will transport you to the Sharn Docks so that you can check out the new public area and dungeons! lost access to regular ddo client account, lost 6 characters? This preview does not include any other U42 features (Filigree, the other 5 Story dungeons, the other 3 Explorer Dungeons, the Cogs wilderness area, etc.). Those will be featured in a later preview. There will be a dev event on the preview server on Wednesday 4/3 from 8PM to 10PM Eastern where you can chat with atleast Cocomajobo to get questions answered and have your feedback collected for the rest of the team to peruse. The Salve of Stone to Flesh in Eyes of Stone now has a cooldown of 5 seconds, rather than 30. Finally a change that in theory shouldn't cause much controversy. Thank you, thank you, thank you. They have been tweaking the game since I started and often I disagree with them. They focus on wrong stuff, over or under compensate and abandon too much stuff. Every once in awhile they get something right, if only temporarily. Found a few stuck spots, have a link for reporting them? Or use the standard bug report? Last edited by Lagin; 04-03-2019 at 10:27 AM. It’s the same link that’s used for live bug reports (you can always find it in my signature). Posting in the dungeon thread is also entirely acceptable and useful! 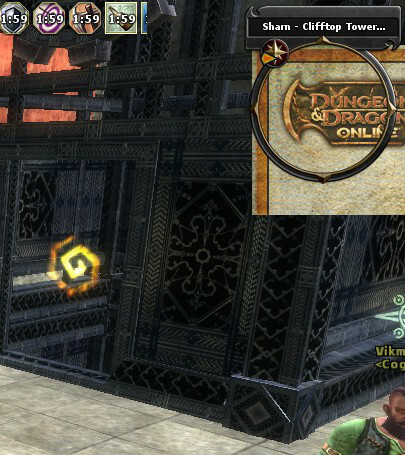 Reminder: I, and a couple others on the DDO team, will be hanging around Lamannia from 8-10 Eastern tonight collecting feedback, answering questions, and running content with peeps! Fixed Obscuring Mist's effect having the name/description of "Obscuring Darkness"
The engine will no longer limit video/virtual memory usage as harshly on systems which have sufficient virtual memory. The game should properly take advantage of virtual memoryresources available to it. Hey Team I haven't had time to preview anything yet, but it all looks very cool. I would like to make a small suggestion take your time don't rush to push Sharn out, most of us would prefer waiting a bit more than having anything missed or left lacking, thanks for the hard work cheers! The first preview of U42 will be ending shortly. Thank you all for coming out and providing feedback. If there is any other feedback about what was on offer for preview 1 please post it on the forums for the team to peruse. We have atleast one more preview of U42 planned. 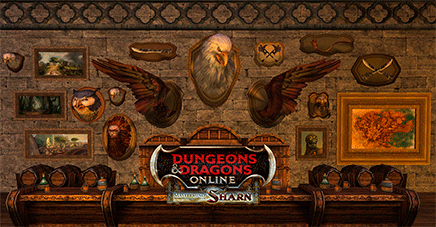 The second preview is tentatively scheduled for Tuesday 4/16-Thursday 4/18 and is tentatively scheduled to contain all of the content and loot releasing with U42 including all of the Story Dungeons, all of the Explorer Dungeons, the Cogs Wilderness Area, the first Sharn Raid, the quest loot, the raid loot, the minor artifacts, and the new filigree. If you’ve got a raid group, in particular, we’d love it if you could try to wrangle them to provide feedback during preview 2! Last edited by Cocomajobo; 04-04-2019 at 05:44 PM. Well dang, was all excited about getting on lammania tonight because I thought it was supposed to last through the 4th Guess I will have to wait 2 more weeks. I know you are aware of some typographical errors. Nonetheless I'll post some peculiarities, I observed just in case you missed them? Still tentatively scheduled for tomorrow? You know that tomorrow NEVER comes? Would be the mostest, bestest……..and earn my eternal love and devotion. 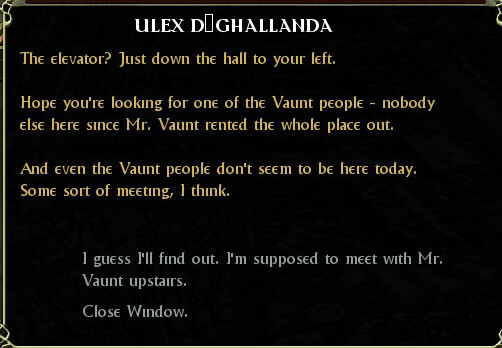 Varr's all over. Cannith Varr getting the love currently. Any decision on the next Lam going up tomorrow as previously intended?